You shall not make for yourself a carved image, or any likeness of anything that is in heaven above, or that is in the earth beneath, or that is in the water under the earth.You shall not bow down to them or serve them, for I the LORD your God am a jealous God, visiting the iniquity of the fathers on the children to the third and the fourth generation of those who hate me, but showing steadfast love to thousands of those who love me and keep my commandments (Exodus 20:4-6). Q 96. What is God’s will for us in the second commandment. A. That we in no way make any image of God nor worship him in any other way than has been commanded in God’s Word. Q 97. May we then not make any image at all? A. God cannot and may not be visibly portrayed in any way. Although creatures may be portrayed, yet God forbids making or having such images if one’s intention is to worship them or to serve God through them. Q 98. 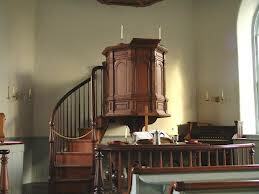 But may not images be permitted in churches in place of books for the unlearned? A. No, we should not try to be wiser than God. God wants the Christian community instructed by the living preaching of his Word—not by idols that cannot even talk. There several things to note from these questions and answers. First, this is not just about images though images of God are forbidden. It is also about worshiping according to God’s Word. There is a lot of debate about what the Word teaches concerning the particulars of worship especially how to apply the Regulative Principle of Worship. However, at the very least, Question 96 says our worship practices must be rooted in Scripture and not the tradition or imaginations of men. Second, images of creatures are not forbidden. Some extreme Christian traditions have rejected all art. The Heidelberg Catechism leaves room for art of all kinds, as long as it does not become worship of any kind. Third, the Heidelberg Catechism rightly says that images set up to worship are dumb idols. God’s people cannot be taught by dead images. They are to be taught by the lively preaching of the word. One of the key recoveries of the Reformation was the priority of the preached word in worship. 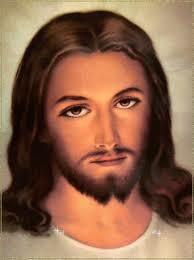 Are pictures of Jesus forbidden? This is often debated. G.I. Williamson says that pictures of Christ are forbidden because Jesus is God. I believe this was the majority report in the Reformed tradition, but is currently in the minority. Kevin DeYoung says pictures of Jesus are fine, but he urges caution, which would probably be my stance. I did not watch The Passion of the Christ because I did not want the movie running through my mind when I read the crucifixion accounts. Also there are so many bad pictures of Jesus it might be worthwhile to ban them just so Christians will stop embarrassing themselves. Pictures like the one below do not help our cause. What specifically is forbidden by this commandment? Artwork of any kind that depicts the invisible God and yes that means the Sistine Chapel is a violation of the 2nd Commandment. Any images, statues, paintings, pictures, carvings and/or stained glass of any creatures, but especially Jesus, Bible scenes, Mary, the saints, and the cross, that are kissed, prayed to, bowed down to, meditated on, venerated, considered a pathway to God, considered sacred, or thought of as something that brings us into communion with God are forbidden. This does not mean there can be no statues of Mary. But it does mean when people bow before it, kiss its feet, pray to it, expect to get closer to God because it is there, or surround the statue like a shrine it has become an idol. Also any other practices that are contrary to the Bible’s teaching on how to worship God are forbidden. Nevertheless, already in the Old Testament, God ordained or permitted the making of images that pointed symbolically toward salvation by the incarnate Word: so it was with the bronze serpent, the ark of the covenant, and the cherubim. Ah, but then comes that pesky “nevertheless.” Three points why this does not prove that we can make images in the New Covenant. First, God commanded these Old Testament images to be made. Where in the NT are we commanded to make images of any kind? If there is no command from God to make images of Mary, Jesus, or the cross as part of our worship then we should refrain. Second, the bronze serpent shows the danger of even God ordained images. It became an idol that was worshiped (II Kings 18:4) and had to be destroyed. If an image commanded by God can become an idol how much more is that the case with images that are not commanded by Him. Third, there is no indication that any of these images were objects of worship, veneration, prayer, etc. They were symbols of God’s activity and presence. But even the ark of the covenant where God actually dwelt is not the object of worship. Were the cherubim woven into the Tabernacle curtains ever prayed to? Did they bow before the lamp stand? Did God command them to kiss the show bread? Again if images and types commanded by God were not worshiped how much more should we avoid doing so with images that are not ordained by God. Not sure what a “new ‘economy’ of images is? Here is the text from the 2nd Council of Nicaea in 787. It would be nice to see a NT text that proves this idea is Biblical. But hey, when you have tradition, who needs the Bible. Obviously the invisible God became visible through Jesus Christ. I am not sure how that gives us the freedom to make images of angels, Mary, saints, or even Jesus and use them in our worship or to try to get to God through them. The Christian veneration of images is not contrary to the first commandment which proscribes idols. Indeed, “the honor rendered to an image passes to its prototype,” and “whoever venerates an image venerates the person portrayed in it.” The honor paid to sacred images is a “respectful veneration,” not the adoration due to God alone: Religious worship is not directed to images in themselves, considered as mere things, but under their distinctive aspect as images leading us on to God incarnate. the movement toward the image does not terminate in it as image, but tends toward that whose image it is. Here is where the Reformers understood the human heart better than Roman Catholics. Is there really that much difference between adoration, worship, veneration, etc.? But even if you try to create different levels of worship in print, in real life men like to worship things even God ordained things like the bronze serpent. They want to walk by sight not by faith. Therefore this attempt is doomed from the start. People pray to/through these images, meditate on these images, find a spiritual connection in these images, kiss these images, ascend to heaven through these images, get to “God incarnate” through these images, and yet somehow they do not worship them? Somehow this looks like idol worship in every way and yet isn’t? This distinction between the image and the thing the image represents and the various types of worship is splitting hairs and pastorally dangerous. Images of God are forbidden. Images of other creatures can be made, perhaps even Christ, but they must not be worshiped in any way. Human hearts are prone to idol worship therefore worship should be carefully guarded to prevent even the appearance of worshiping an image. There are no Biblical commands or inferences that allow us to set up images in worship or to use them to aid our worship. The key way we get to know God and His Son Christ is when the Spirit works through the preached Word while in fellowship with other living saints.